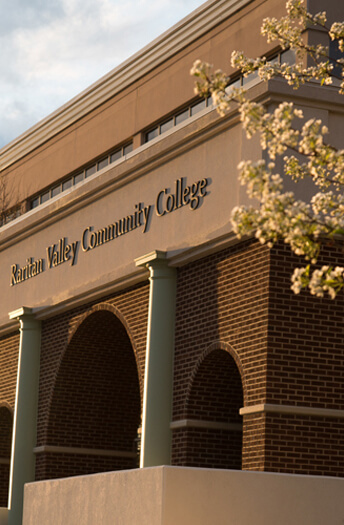 As an RVCC student, it’s important to pay your tuition on time. If you don’t, you may be dropped from your classes. Out-of-county tuition applies to out-of-state students. All out-of-county residents who provide proof of employment in either Somerset or Hunterdon counties will receive a $45 per credit hour reduction on their tuition. $202 per credit. No fees charged. Regular in-county or out-of-county tuition applies. $200 per course taken at the student’s high school, without limit to the number of courses a student can take per semester. Tuition and fees are subject to change. In calculating the cost of your college education make sure to include fees. Application Fee - $25 to be paid online or at the finance office. General Registration Fee - $26 per credit hour. This fee does not apply to online or Concurrent Enrollment Program courses. Laboratory/Studio/Activity Fee - Can range from $60-$360, depending on the course. All courses that require this fee will explicitly state so in the course schedule. The fee applies to hybrid courses. It is subject to change 30 days prior to the start of each semester. Technology Fee - $125 per semester for full-time students; $80 per semester for part-time students. This fee does not apply to online or Concurrent Enrollment Program courses. Enrollment Service Fee - $33 per semester. This fee does not apply to students enrolled exclusively in online or Concurrent Enrollment Program courses. Developmental Course Fee - $15 for students enrolled in one or more developmental courses per semester. Official Transcript Fee - $10 for all students. Returned Item Fee - Students will be charged $25 for each returned check, credit card charge, and/or AHC transaction. Late Registration Fee - $50 effective two weeks before the first day of the start of the term. International Student Processing Fee - $200 per semester. Nursing Program Fee - $680 per semester for students officially enrolled in the College’s Nursing Program. Honors College Fee - $150 per semester for students officially enrolling in the Honor’s College Program. Occupational Therapy Assistant Fee - $250 per semester for students officially enrolling in the Occupational Therapy Assistant Program. Fees are subject to change. In calculating the cost of your college education make sure to include tuition. Out-of-county tuition applies to out-of-state students. All out-of-county residents who provide proof of employment in either Somerset or Hunterdon counties will receive a $50 per credit hour reduction on their tuition. $212 per credit. No fees charged. General Registration Fee - $27 per credit hour. This fee does not apply to online or Concurrent Enrollment Program courses. To claim a waiver, you must register in person and provide all eligibility documentation. Students with tuition waivers are responsible for the cost of all fees, textbooks, and instructional materials associated with their courses. Somerset and Hunterdon county residents age 65 and older may audit one qualifying academic-credit course each semester if space is available. Seniors will be charged a $33 enrollment fee and must pay for their own books and materials. To qualify, you must register during the 5 business days prior to the start of the course. No credit will be earned for taking the course. Somerset and Hunterdon County residents who have received tuition waivers may register five business days prior to the start of the semester. Out-of-county residents must first apply to their home county college, and register one day prior to the start of the semester. All students must complete and bring the FAFSA financial aid application and an approved Unemployment Certification Waiver at the time of registration. All fees except the Late Registration Fee apply. If you enroll earlier than this date or do not have the completed FAFSA and approved waiver with you at the time of registration, you will be charged the regular tuition rate plus fees. Members of the New Jersey National Guard or the New Jersey National Guard Reserves taking up to 16 credits per semester are eligible to receive a tuition waiver. All fees apply. Volunteers in active service as firefighters or emergency medical service workers and their families receive free tuition up to $600 per year and $2,400 in their lifetime per family. Family includes the volunteer their spouse, and children. All fees apply. Click here for form. Students directly related to a victim of the September 11, 2001 terrorist attacks are eligible for a tuition waiver. All fees apply. Tuition and fee waivers are subject to change. Includes tuition, general fee, technology fee and enrollment fee. Other fees may be required including a $25 application fee, $50 late registration fee and special course fees. No fees for Online Classes. Traditional Classroom Courses: The chart on the left provides amounts including tuition, general fee, technology fee and enrollment fee for students enrolled in Traditional Classroom courses, which include Telecourses and Hybrid courses. Please note: Special course and/or lab fees, the Developmental Student fee, the International Student Processing Fee, the Nursing Fee, the Honors College fee, the Occupational Therapy Assistant fee and the Automotive Program fees are not included and should be added to the amount derived from the table to determine your total cost, when applicable. If you register late, you should also add the $50 late registration fee to that total. Online Courses: The chart on the right provides amounts for Online courses only. Students enrolled in online courses pay tuition of $212 per credit. No additional fees are charged. Please note: Special course and/or lab fees, the Developmental Student fee, the International Student Processing Fee, the Nursing Fee, the Honors College fee, the Occupational Therapy Assistant fee and the Automotive Program fees are not included and should be added to the amount derived from the table to determine your total cost, when applicable. If you register late, you should also add the $50 late registration fee to that total. Are you registering in both Traditional and Online Classes? : Students registering in traditional classes and online classes should consult both charts when calculating tuition and fees. Use the chart on the left for the number of credits in Traditional classes, then use the chart on the right for the number of credits in Online classes and add the amounts together.